For months there have been rumors, but now Semiahmoo Resort in Blaine, Wash. has a buyer and new life after being sold to a Seattle group called Resort Semiahmoo LLC for $19.5 million. The ownership group includes Seattle-based Wright Hotels Inc. and local investor Jerry Anches. The deal includes the Semiahmoo Resort hotel and both Semiahmoo Resort course and Loomis Trail golf courses. The hotel closed last December and sent pink slipes to almost 300 employees, when the former majority owner, Upper Skagit Indian Tribe, were unable to find a buyer for the resort. The golf courses have remained open with no interuptions. The new owners plan to reopen the hotel before the summer season is over and it will be business as usual at both the Resort Course and Loomis Trail golf courses. The new owners plan to spent $6 million on improvements to the resort hotel and hope to have it re-opened in August as well as the resort’s spa. 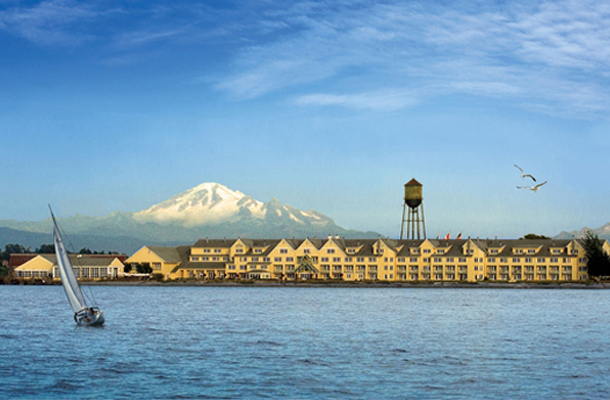 The Coastal Hotel Group, based in Seattle, will manage the resort and the two courses. Wright Hotels operates more than 40 hotels in 15 states.